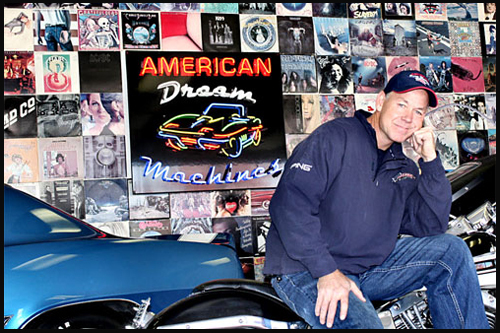 Doug is the owner of American Dream Machines. 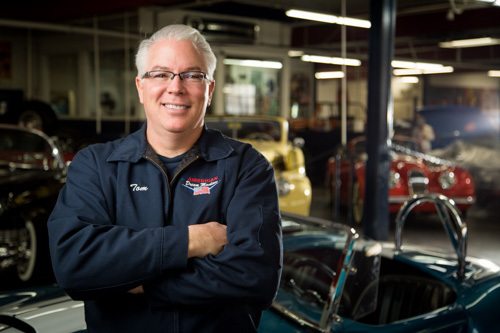 Like most men in their 40's going through a mid-life crisis and buying American Muscle cars, Doug went though a major mid-life crisis and had to buy 50 cars and open American Dream Machines. 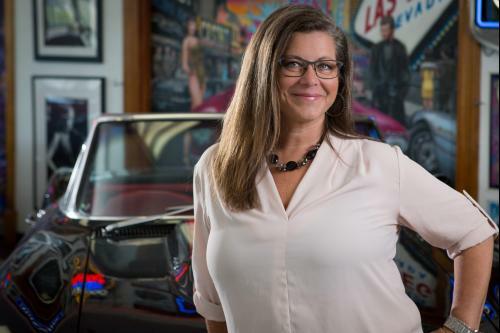 "The Real Boss," Julie is involved in the business to make sure her husband is going to make a profit someday and isn't just frivolously buying cars to play with. She watches the money like a hawk and helps with all of the paperwork and makes sure the staff is happy and well fed. Major Tom is the General Manager and is in charge of ground control, keeping everything humming in the shop; both cars and employees! He also makes sure customers are happy with 40 & 50 year old cars and that's not an easy job to do. She is a hardworking, always smiling, Iowa farm girl. She goes out of her way to make sure all customers, visitors, and staff are happy with their experience at American Dream Machines. Our local Camaro/Chevelle Guru, he rarely misses a detail with our machines. Being retired military, he helps keep our troops in line to get cars done. Mike's first job was in a lawnmower shop, then he moved up to cars. Working most of his life in the auto industry he says this was his dream job working on the classic cars he loves so much. He is very passionate about sending a good car to our customers. He has been involved in every aspect of cars for his entire life. 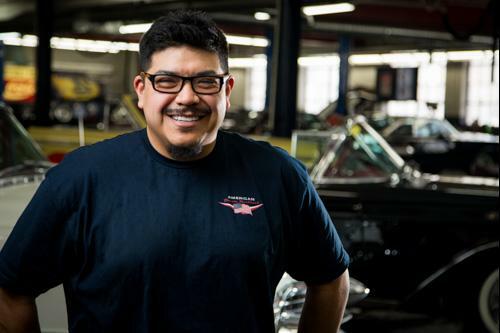 This family man is resourceful and knowledgeable making him the ideal Parts Manager. He also helps our team with "outside of the box" thinking and old school tactics. "The Detail Machine." Fikret came to the shop from Bosnia where he was a very successful business man before having to leave the country for safety reasons. Fikret had never worked in the automotive industry before joining our team but he is the hardest working guy in the shop and has a natural art for making engines beautiful. 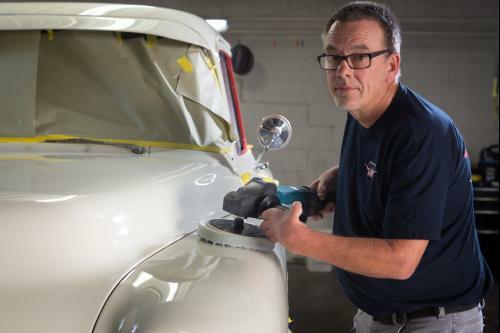 As a part of the detail restoration team, Kevin is invaluable, he gets cars ready both for pictures and for delivery, each of which require near perfection and he delivers every time. He has an amazing eye for detail. Kevin is also a Mustang master! Brad came out of retirement to work with us and for the love of cars. 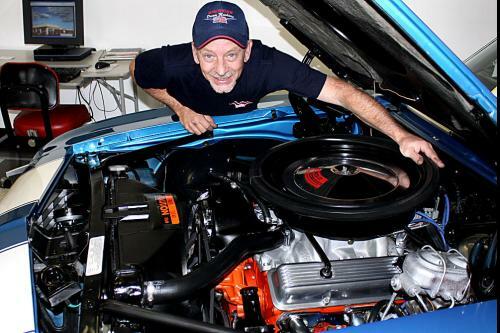 He lives and breathes making the cars beautiful and spends 8 hours a day with a buffer in his hands. He is a "go to" guy, helping with anything needed. He also moves cars to make them most accessible and viewable. He is in charge of our car "daycare" room. Matt is half of the father/son Dynamic Duo. Matt is a great mechanic who quietly smiles and works and works and works. He is also our Corvette specialist. This family man is a great asset to the team! He will help anyone with anything and has a great eye for detail. Miguel is the other half of the father/son Dynamic Duo. It is clear to see where Matt learned his work ethic. 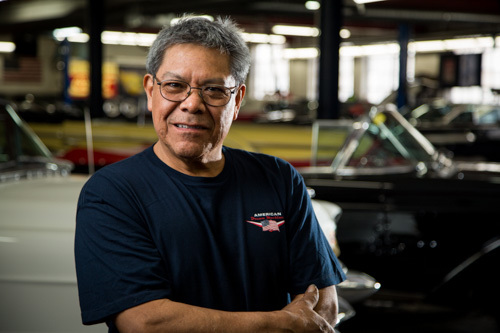 Miguel has been turning wrenches his whole life and has a passion for Mopars. He is always willing to lend a hand to anyone and everyone. Blake is one of the youngest members of our team and he is eager to learn all aspects of classic cars. He is a car washer, detailer and undercarriage beautifier. All of his tasks make the cars look better than ever. Mike moved to Iowa from California and we were fortunate enough to snag him to be a part of our team. 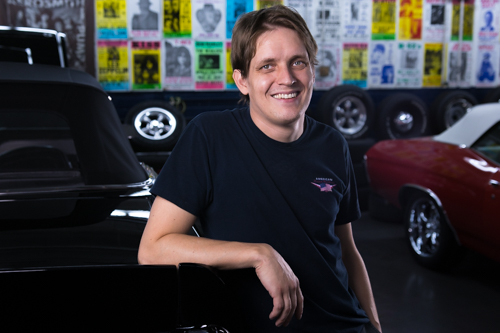 Mike has been turning wrenches since he was 12 and we don't think there is a car that he can't fix. He is qualified to work on everything from the oldest car to the newest, even the hybrids.